From the far corner of the car park, with the road to the left, this walk heads away from the road and into the thick heath. 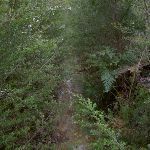 The track is enclosed in sections by dense foliage as it slowly descends the hill. The track in some places is deeply cut by watercourses as it makes its way to the cul-de-sac with the open service trail. Continue straight: From intersection, this walk heads along the management trail away from the cul-de-sac. 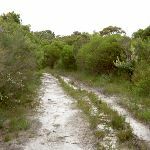 The track continues for approximately 500m through a dense wall of heath vegetation to the intersection with another management trail on the right. 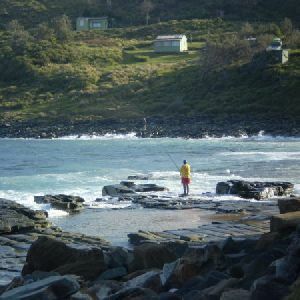 Continue straight: From the intersection, this walk follows the sign to ‘Curracurrong 2.6km’ along the management trail, with the ocean far to the right. After approximately 1km, the walk comes to an intersection. 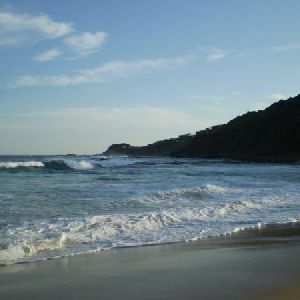 Veer right: From the intersection, the walk follows the sign to ‘Curracurrong 1.6km’ along the management trail, with the ocean far to the right. 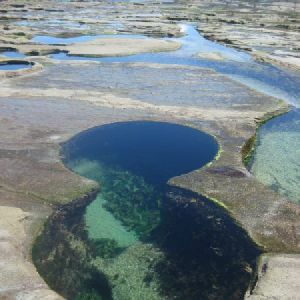 After approximately 300m, the walk drops into a creek. 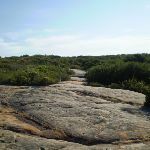 Continue straight: The walk crosses the creek to head up the hill, with the ocean far to the right. 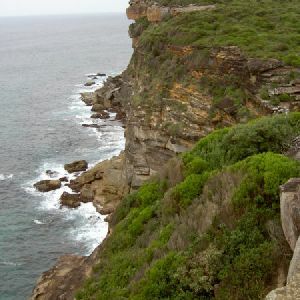 The walk leads along the management trail for some time, then comes to the cliff edge. 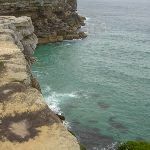 Turn right: From the intersection, this walk heads along the bush track and the rockshelf, keeping the ocean on the left. 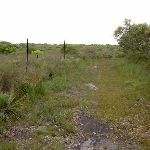 This continues, with the track becoming a narrow trail that goes through the scrub. 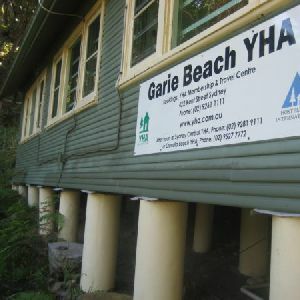 In various sections, metal walkways have been built to stabilise the environment in the area. This continues until reaching an intersection with a track, heading off to the right. 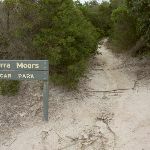 Continue straight: From the intersection, this walk follows the bush track around the left-hand side of the ‘Curra Moors car park’ sign, following the cliffs and keeping the ocean on the left of the track. 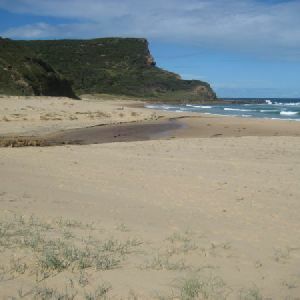 After several hundred metres of high scrub, the track emerges out into the opening which has fantastic views of Garie Beach and the hills to the south. 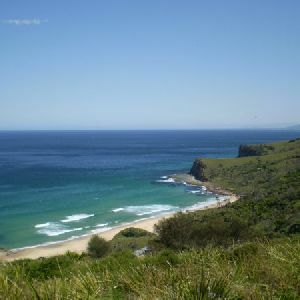 Continue straight: From Garie Beach Lookout, this walk follows the bush track heading down towards Garie Beach, winding down the long hill, descending the steep rock and wooden steps to the bottom of the hill where the walk continues through the grassy clearing to the end of the beach. 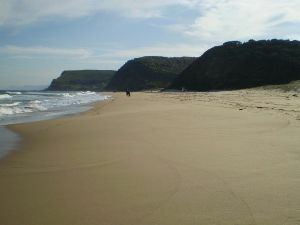 Continue straight: From the end of Garie Beach, the walk follows the coast across the beach, keeping the ocean to the left until coming to the base of some timber steps, which lead up the hill on the right. 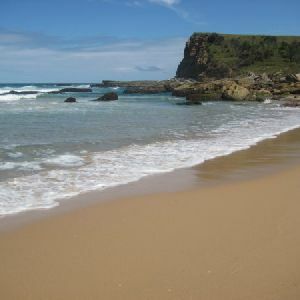 Veer left: From the intersection, the walk heads along the beach, keeping the ocean on your left, for approximately 200m to Garie Beach car park on the right. At the end of this side trip, retrace your steps back to the main walk then Turn left. 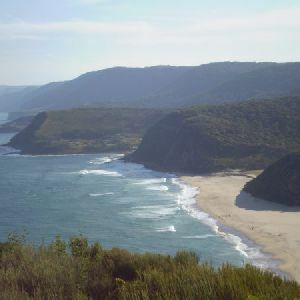 Turn right: From the intersection, this walk heads up the hill, away from the cliff edge and sea. 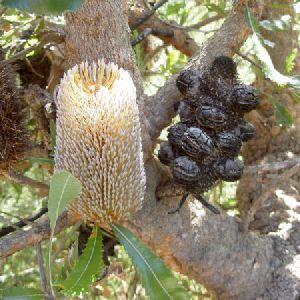 The track is narrow for approximately 30m then turns into a management trail. 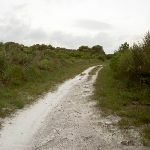 The trail continues for approximately 1km, with the heath surrounding becomes taller. 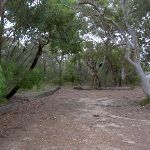 The trail leads to an overgrown grassy area in the heath that leads to the intersection. 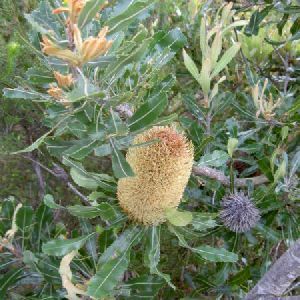 Turn left: From the intersection, this walk heads south-west along the management trail into the taller, more dense vegetation. 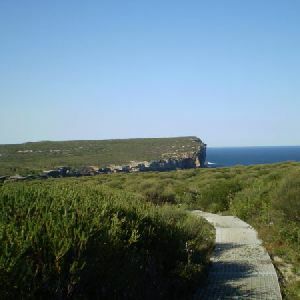 The track continues for approximately 500m through a dense wall of heath vegetation to the end of the management trail. Continue straight: From the cul-de-sac, this walk leads along the bush track, away from the service trail. The track is enclosed in sections by dense heath vegetation as it slowly rises up the hill. The track is deeply cut in sections from watercourses, as the walk makes its way up to the car park at the top of the hill. 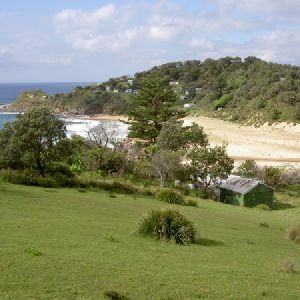 Around 5km of this walk has gentle hills with occasional steps, whilst the remaining 4km has short steep hills. 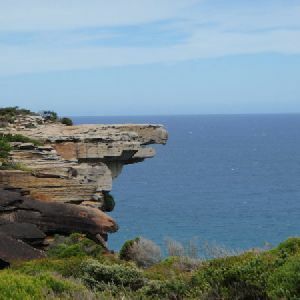 Around 7km of this walk follows a clear and well formed track or trail, whilst the remaining 1.9km follows a rough track, where fallen trees and other obstacles are likely. 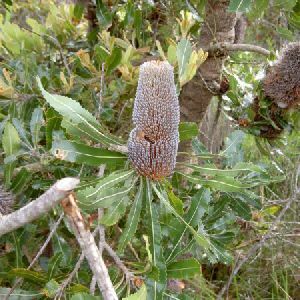 This whole walk, 9km requires no previous bushwalking experience. This whole walk, 9km is not usually affected by severe weather events (that would unexpectedly impact safety and navigation). 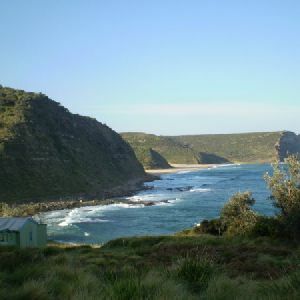 This whole walk, 9km has limited facilities (such as not all cliffs fenced). 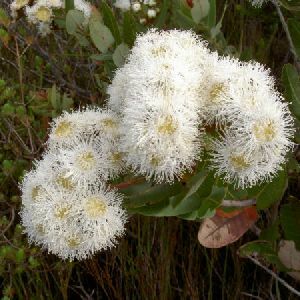 A list of walks that share part of the track with the Curra Moors Loop walk. 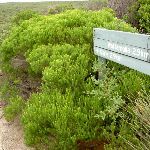 A list of walks that start near the Curra Moors Loop walk. 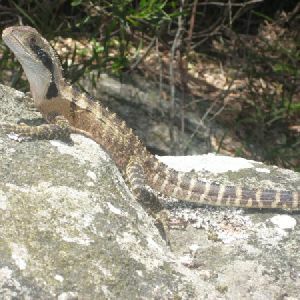 http://new.wildwalks.com/wildwalks_custom/includes/walk_fire_danger.php?walkid=nsw-royalnp-cml Each park may have its own fire ban, this rating is only valid for today and is based on information from the RFS Please check the RFS Website for more information.